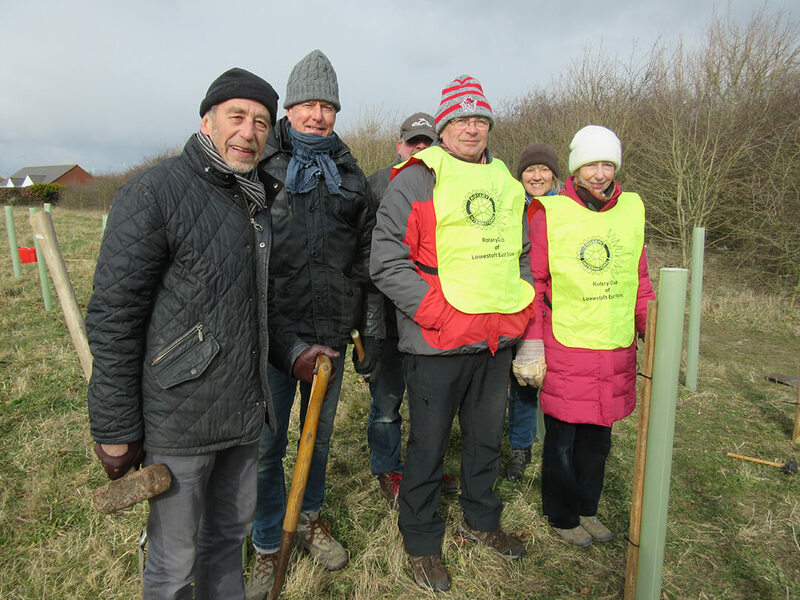 On Monday 26th February, some hardy members of Lowestoft East Point Rotary Club braved the cold weather to complete phase one of a tree planting project at Carlton Meadow Park as part of a Rotary International project to plant a tree for every Rotary member. Under the supervision of Robert Slarke from Waveney Norse the team planted 45 saplings of Silver Birch, Hornbeam and Wild Cherry on the site just before the onset of the “Beast from the East”. The trees were donated by the Woodland Trust and planting was completed in just one hour. The Club are waiting to hear if they have been successful in their application for a further 105 trees from the Woodland Trust which will require planting in November.